Out of boredom I sent child to the basement to grab a car that’s cool, in the package. So she grabbed this. And she was more interested in the scissors he brothe was playing with ( cutting the heads off of clover floweings). So I had her open it and then gave to brother who played with it immediately in the dirt. 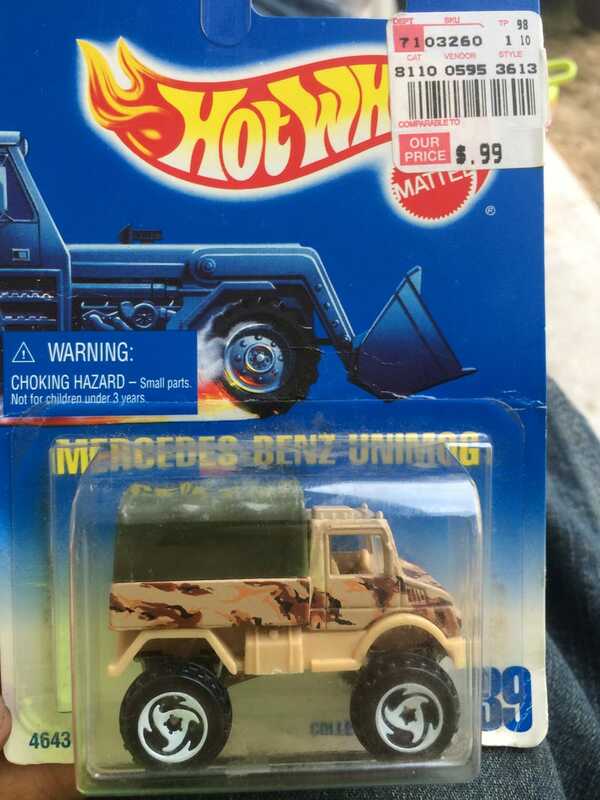 After being enclosed for over 15 years and to go straight to dirt within minutes must have been heaven do this unimog.